For 35 years Shaw Trust has supported local disabled people find employment, working to create brighter futures for the people and communities across the UK. Over 1100 staff and many volunteers, Shaw Trust operates charitable social enterprises, retail shops and work alongside Shaw Education Trust, which runs a diverse chain of academy schools. Shaw Trust has grown to support over 50,000 people a year to live independent and inclusive lives in Wales and in Scotland. Do you know about ACHIEVE HUMAN SERVICES, INC. in Arizona USA? For over 50 years, ACHIEVE, a Community Rehabilitation Program (CRP), has been serving individuals with disabilities with housing opportunities, employment training and career opportunities. They have an outstanding vision of creating and expanding opportunities, and leading people with purpose. This is done by treating all people with dignity and respect ina safe and secure environment. Eloura Association in Australia is "making a difference to peoples lives." provides quality education and employment training to people with a disability in Cootamundra, Young, Temora, Harden Coleambally and surrounding districts. 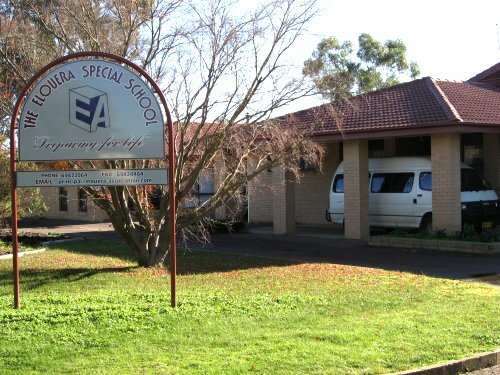 The Elouera Special School has provided education to children in the area for over 40 years and more recently Elouera Industries, Elouera Laundry, Elouera Recycling and Elouera TT's Cafe have provided employment and training to adults with a disability. Eden Social Welfare Foundation service include vocational training for physically and mentally disabled individuals of adult age, job counseling, emotional therapy, as well as early intervention services for children with delayed development and residential care for seniors. The Foundation steadfastly believes in “providing holistic care throughout life”, providing the physically and mentally disabled with complete services that encompasses body, mind and soul.